A love of modern 20th Century architecture inspired Marcus, of Little Building Co., to begin making laser cut wooden Architectural models about 6 years ago in his backyard workshop in Australia. 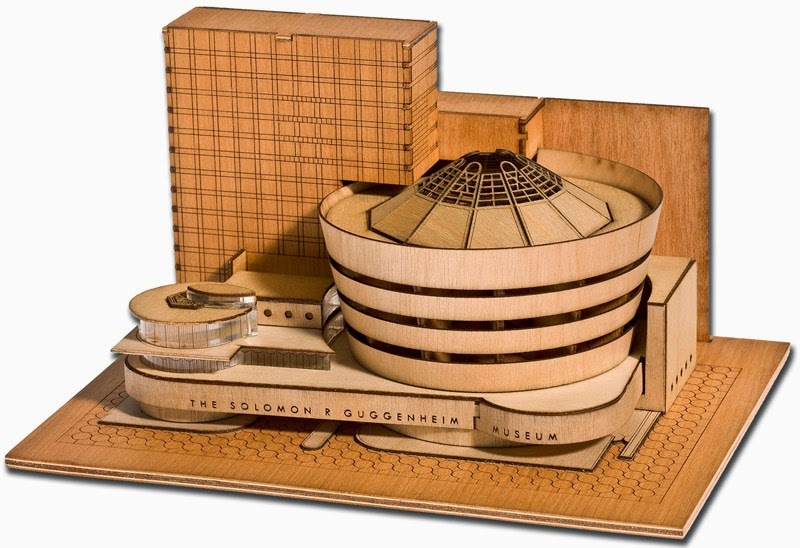 Currently, he produces the Sydney Opera House and has a kickstarter campaign to begin producing New York's Solomon R Guggenheim Museum. He has been creating over 4,000 of the ready-to-assemble models a year. These wooden models are much larger, but remind me of the small sheet metal buildings. Interesting! Wonder what he does with all his models once he's done making them? He obviously doesn't keep them all into storage right? I imagine having 4000 over miniatures would be a bit hard to have stashed away in the garage! Haha! He's selling the buildings after they are completed, but may have to store some before they are sold, yes.